Explore an intuitive interface and functionality with the new 3.5” colour TFT display. The premium 3.5” TFT colour display (black background) is equipped with 6 additional touch buttons, to always have your favourite recipes at a touch of a button. For a perfect mix of pleasure. A creamy cappuccino, with dense milk foam, always at the perfect temperature…until the last drop! 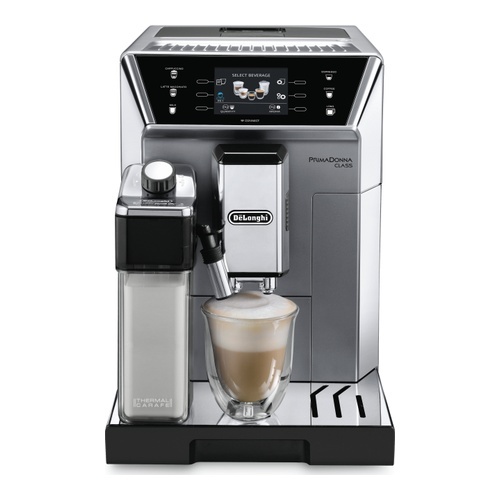 The full automatic coffee machine can be connected to the innovative Smart Coffee App, to create new beverages, discover infinite personalization and receive unlimited advice and suggestions. The coffee machine gives you a wide variety of coffee and milk recipes, easily programmable, with 6 user profiles for individually tailored drinks.